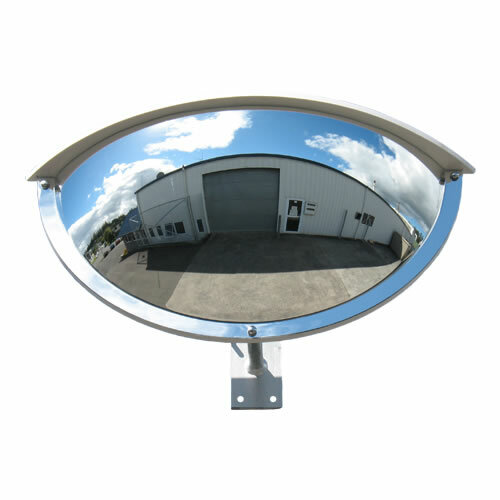 The 36" outdoor half dome mirror is designed for driveway safety such as when a driver needs to see both left and right before exiting a building to avoid collisions. The lightweight vinyl back and lid is sealed to enclose the cavity and can withstand weather. 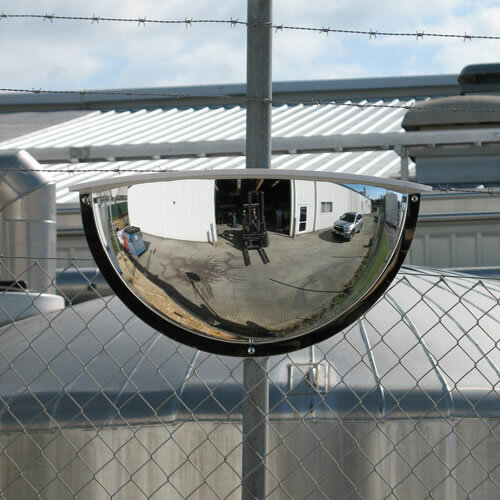 Ideal for busy forklift loading areas, warehouses, factories and industrial buildings. 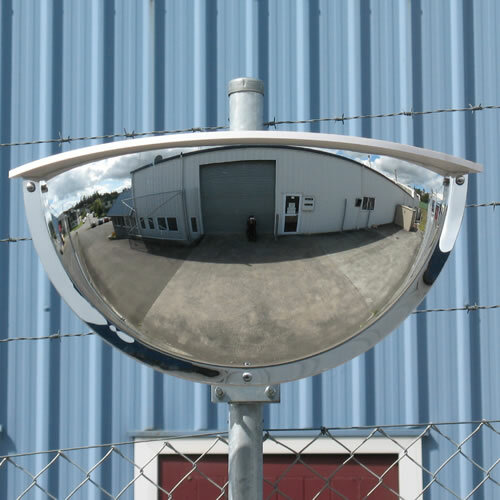 Complete with adjustable outdoor J-Bracket, this innovation in driveway safety is one of the most effective ways to improve two-way visibility. 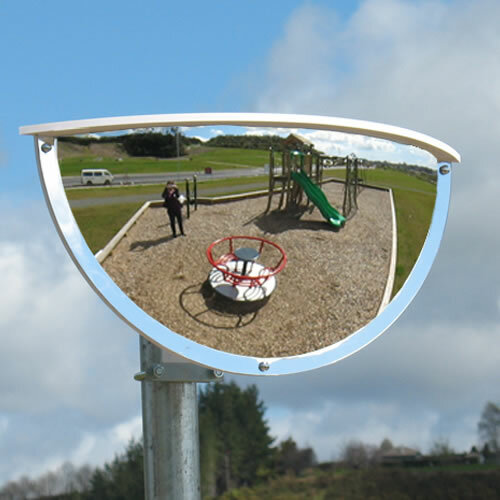 (Due to the deep curve of this mirror, distance and speed is harder to estimate, therefore we do not recommend this model for moderate or fast moving road traffic, but for slower moving driveway vehicles only). 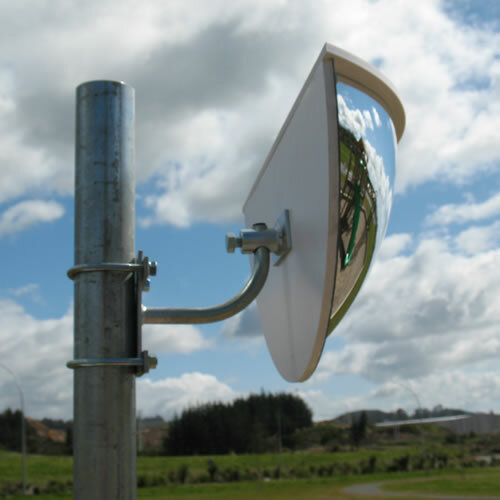 Mounting Holes 4 x 7/16"
Carton Dimensions 37" x 9" x 19"